Favorite Characters from Cell Saga. (Future Trunks and Teen Gohan) Also looove the manga better than the anime! See ya Round! (Edit) I Also post whatever going on in My wacky life, Such as customs and Figuarts stuff. Welcome to DBF! Glad to have you! Is it possible to change your profile pic on mobile? Thanks! Whoops..I'm on desktop mode. Anyone know how to go back to Mobile? Not sure to be honest. DBF works best on a phone on desktop mode though. To change back to mobile, you do the same thing on your phone that you did to switch to desktop mode most likely. That's how my phone is at least. The Tapatalk app works with DBF too. It's kind of tricky to configure though and I think you have to make a Tapatalk account. I think it's free. Thanks! Figured it out now. One day I hope a new contest will happen..
Yesss I have always wished i could enter a scene stealers! Do you 'all dare me to start my own Scene stealers? Thats an awesome thought! Most members log on sonrarely that youd have to give people plenty of time to realise it was happening... I'd be willing to contribute to a prize! Branjita could this be a thing? It has been a really long time...we could advertise on FB too and bring a lot of people back to the forum for some fun! Sounds great! I bet a lot of people will be excited! Woah, Didn't expect that! Now IM gonna HAVE to do something! Thanks guys! Isn't it great to only have 2 Figuarts.. Setting Up what? I could possibly help. Working on a Dragon ball plush! Should be done and in the customs section tomorrow! Update: Piccolo has been drawn and started! His Purple Gi is done. 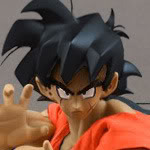 Also ill be making more in Figuarts order(piccolo,SS Goku,etc) ALSO they will be flat but they still should look Cool!